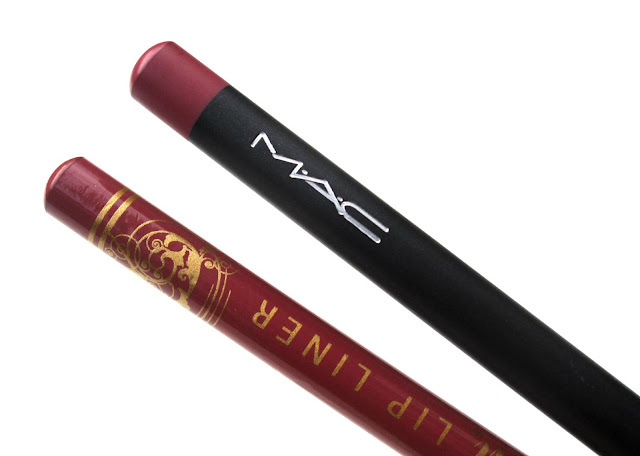 HaySparkle: The £2.99 MAC Soar Lip Liner Dupe! I'm a huge lover of the trusty ole lip liner these days and when my friend Kate kindly bought me MAC's Sour Lip Liner for my birthday back in August I noticed I had a few lip liners in my current collection that matched it pretty well, but there was one liner in particular that is more or less bang on point with Soar and I just had to share it will you all today! 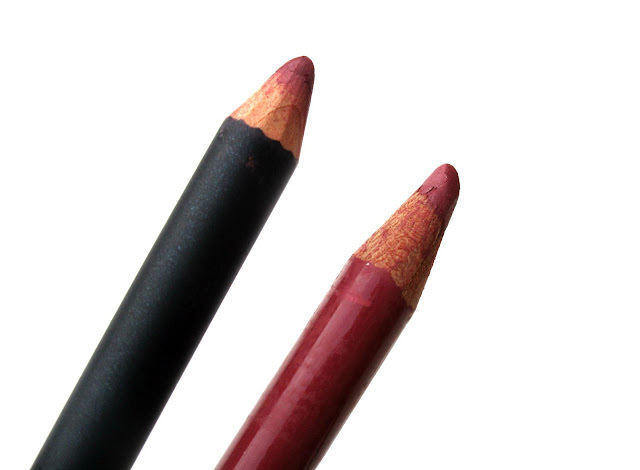 That lip liner in question is Barry M's #15 Rose, Barry M's offering is a mere £2.99 and as far as lip liners go I think Barry M do a really good job, Rose is a muted mauve shade with a brownish undertone and is so velvety soft to apply whilst still being firm enough to create precise lines and the texture is stunning! MAC's Sour is again a mid-tone pinkish brown shade and as you can see by the swatches their really isn't a huge difference between Soar and Rose, I think Soar is just a smidge more on the browner undertone side of things, I would even say formula wise these two are pretty much the same although I do find Mac's offering lasts that little but longer on my lips and the Mac pencil itself is longer so you do get a bit more product with the Mac pencil but if we are comparing the shade, texture and formula they are pretty much twins. 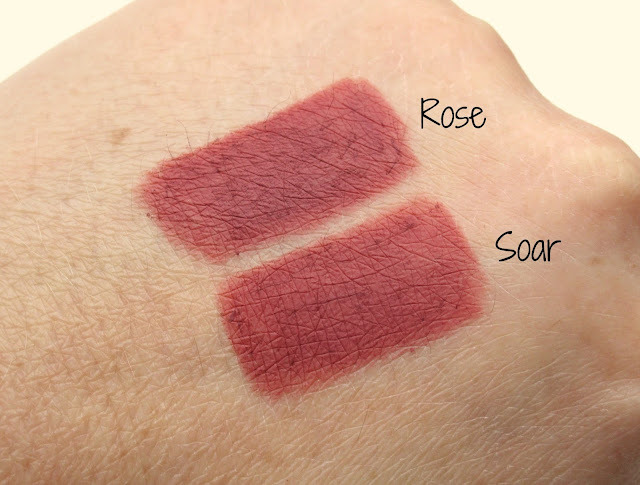 Overall I think if your lusting after MAC's Soar but don't really want to pay the £13.00 price point then save yourself some pennies and grab Barry M's Rose for just £2.99. 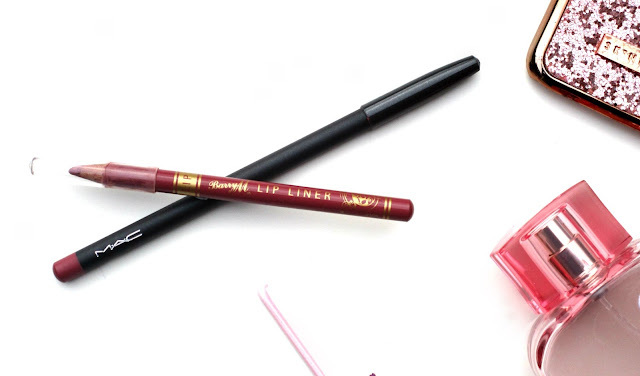 Have your tried either of these lip liners beaut's? What do you think? I'd love to know!